Join us for our annual Spring Celebration as we recognize and thank YOU — our donors, volunteers, and supporters. This year’s event is on our urban farm, where we’ll be showcasing the beautiful changes that have happened there in the last year. Come check out our new greenhouse, rain garden, and pavilion, and see the growing beds where we are prepping this season’s crop. Chef Green and Co. will be providing a variety of tasty hors d’oeuvres to sample, so bring your appetite! The event will be an open house format from 4:30-6:00 pm with a brief program at 5:15 pm. 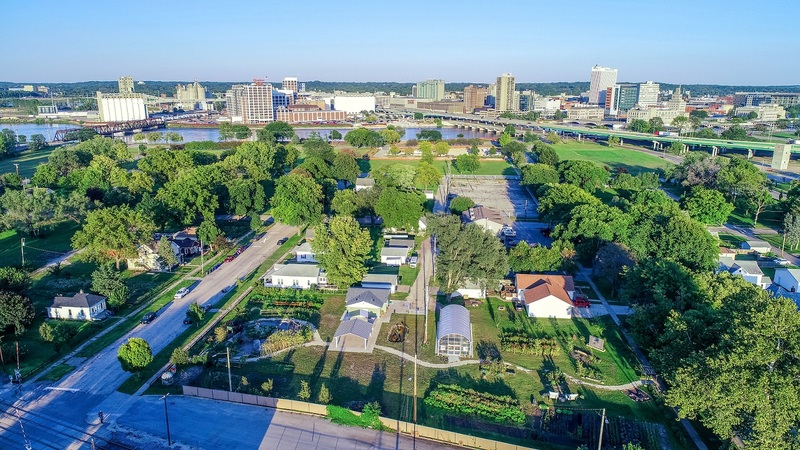 The urban farm is located at 437 G Ave NW in Cedar Rapids. Parking is available on both F Ave and G Ave.